Slow Cooking is an irresistible collection of simple, delicious dishes to take your time over. 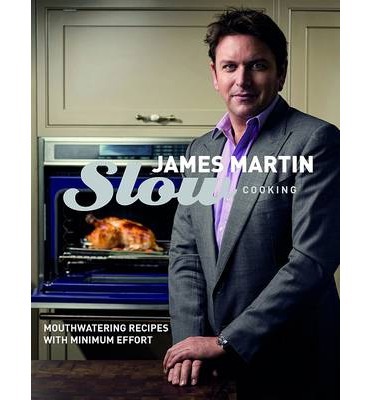 James Martin shows how cooking slowly is the perfect way to draw out flavours and textures, enabling you to produce mouthwatering dishes with minimum effort. James' tempting recipes make it easy to cook fabulous food for family and friends. Every recipe includes an hour or more of cooking or marinating time and no lastminute preparation - so let your oven do the work while you get on with other things. The recipes range from family favourites such as soups, roasts and one-pots, to more unexpected and adventurous dishes that embrace the slow philosophy, such as Fresh mackerel pickled with oil, vinegar and whole spices or Fillet of beef wrapped in clingfilm and slowly roasted until cooked perfectly to medium rare. Slow Cooking shows how, by preparing a few good-quality ingredients, and cooking or marinating them slowly for a least an hour, everyone can produce showstopping dishes with very little fuss.